Democracy is the power to create society. How do we democratize the power to create society? What do cities look like when you talk about cities for 99%? Too often our notion of democratizing the city in many of our conversations is reduced to a vote, which is myopic and reductionist. Johar underscores the fact that democracy is much more than just a vote. Democracy is an architecture which sets upon the democratization of knowledge, capital, agency and many other things. Lamentably, however, most people end up restricting the notion of democracy to a vote. His liquid notion of democracy essentially centers on the power to create society and not the power to consume. To illustrate his point, he cited three attitudinal instances, namely: open-sourcing, civic-making and paradigm-shifting. The WikiHouse project is a classic example of an open-sourcing project for designing and building houses. 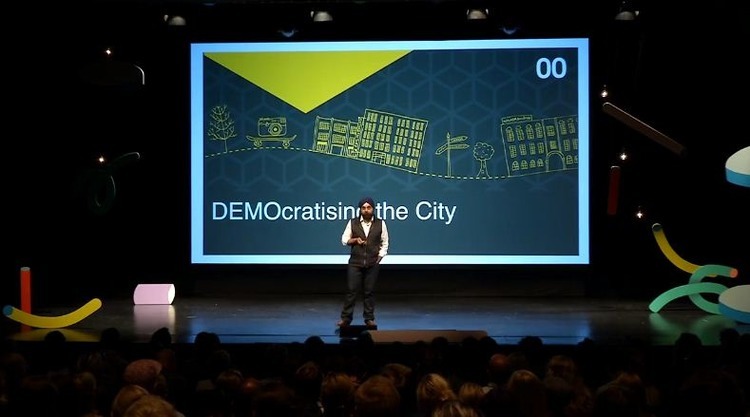 An architect by profession, Johar explains that the WikiHouse project democratizes the building of cities through simple, sustainable and resource-light dwellings. To date, there were plans to use these WikiHouse designs for underdeveloped communities around the world and to earthquake-prone countries like Haiti, New Zealand and Japan. The power to create society, however, rests not merely on the physical making of things, but essentially to civic-making. Johar stressed that civic architecture is actually more than just the physical design. How a given building contributes to local economy, to the system and finally to the environment is far more important than the building itself. He explains that when you want to talk about democracy, you need to talk about the flow of values as well. Intertwined to this is the idea of paradigm shifting. Johar opined that maybe some of the indoctrination that we have been receiving that there being a simple problem and therefore a simple solution may actually be a part of the problem. “The challenges that we are dealing with do not have single point of intervention; no single app or technology can solve them… Many actors are involved even in simple issues… if you map the people involved in educational attainment [for instance] there will be more than 100 influences,” Johar added. The current mindset of most organizations which is not aligned with the notion of “whole systems approach,” the idea of interrelatedness across various levels (intra-personal, interpersonal and systems/organizational) and the multiplicity of actors involved could be the reason why many smart cities agenda largely struggle in many parts of the Western world. The city is a natural centre point of the story, a space for coalition. Having said that, how do we make the city the nucleus and centerpiece of our narratives? “This is the future where we move from I to the We,” Johar explained. He hinted that there might be a need to modify our theory of change. Instead of aiming for better world (which is too lofty and unrealistic), we aim for a better city; or instead of market fixing there may be a need to change the system itself. Likewise, there might also be a need for smart contracting instead of term sheets, of system funding rather than start-up funding. In the same vein, the society may find it more pragmatic to dispose business plan for business engine, to emphasize system innovation instead of product innovation and finally of having collaborative founders instead of a founder. Collaborative leadership and leadership of the mission are what we needed to instill and build this politics of change. “If you are going to drive change; you need to build a new organizational model and that needs an architecture of large conversations,” Johar shares. Are we capable of taking part in this architecture of large conversations knowing that not all people are used to looking at the system? “Every human is phenomenal evolutionary machine, a 13.8 billion evolutionary machine. You are phenomenal beyond imagination, better than any AI ever has seen, and every work you’ve seen is better than any AI that you would see,” Johar concluded. 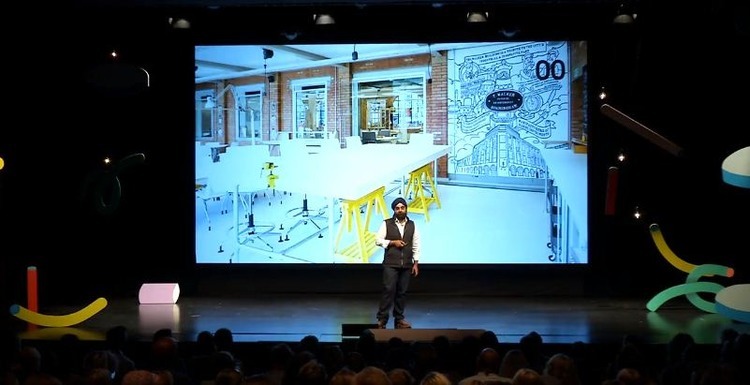 Indy Johar is an architect, co-founder of 00 (project00.cc), a Senior Innovation Associate with the Young Foundation and Visiting Professor at the University of Sheffield. Indy also co-founded social ventures such as Impact Hub Westminster, Impact Hub Birmingham and the HubLaunchpad Accelerator. He is an Advisor to the Earth Security Initiative and a director of WikiHouse Foundation.